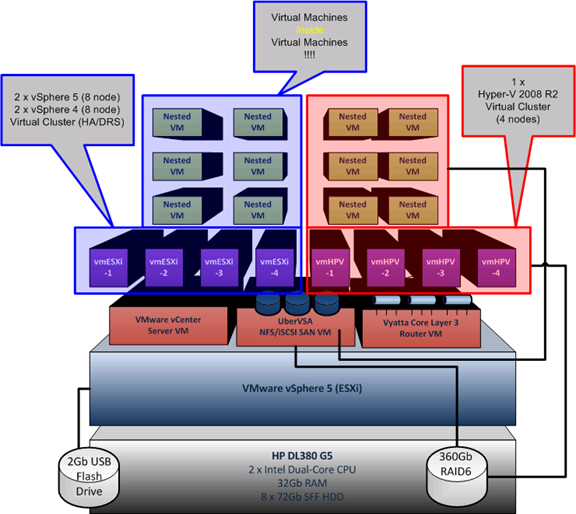 Do you want to know what VMware has planned for its next release? Then you need to come to the London VMUG on July 17th (in London, UK), we are very lucky to be one of the few VMUGs that are able to deliver NDA content to VMware customers. As this is NDA type content There are some caveats as to who can attend – as listed below, but for those that aren’t eligible we have something else planned that will definitely be of interest. And, we also have the usual array of awesome COMMUNITY, VMware and sponsor technical content. e.g no sales spin, no men in shiny suits and bonus schemes, real. interesting. relevant. technical content for YOU (ok, and me too!). As I’m sure you understand VMware closely guard their roadmap and NDA content, we are very lucky to be able to deliver it at a VMUG, but there are some rules to prevent NDA material being leaked. If this happens VMware won’t be willing to help us deliver this content in future – so it’s in your interest to help safeguard the content – please respect this and the community spirit VMUG represents. You will have to sign a one-way personal NDA prior to being allowed entry to the NDA session. All official VMware partners can request the content via their account manager at VMware, but to help make it clear we’ve put together an FAQ as follows. I am an employee of a commercial or public sector organisation and we buy VMware products, or plan to, can I go the NDA session? Yes. I work for a storage/network/server vendor, and am a VMware partner can I go to the NDA session? No. but you can request a private session via your VMware partner manager. I work for a software vendor, and we are a VMware partner; can I go to the NDA session? No, but you can request a private session via your VMware partner manager. I work for a reseller/consultancy who are a VMware partner, can I go the NDA session? No, but you can request a private session via your VMware partner manager. I work for a cloud/managed/hosting service provider and we are VMware partners, can I go to the NDA session? No, but you can request a private session via your VMware partner manager. This list isn’t exhaustive, if in-doubt of your status, bring a business card on the day andVMware can make a call, but please don’t be disappointed if we can’t admit you; we have an interesting update on VMware’s vision and strategy. Is your local VMUG your launchpad to a VMworld session? My main role in helping to run the UK & London VMware User Group (VMUG) is finding, arranging, press-ganging and cajoling people into giving sessions at one of our quarterly VMUG meetings – I look for primarily for solid, interesting content, especially if it’s “outside of the box” and secondly a professional speaker – I don’t care who you are or if the last presentation you delivered was when you played the carrot in the cub scout christmas play aged 8 (yes, that was me – before you ask!). You’ll get a lot out of presenting at a VMUG – even if you’re nervous, or new to presenting we can help to coach you through to a successful session and VMUG audiences, even helping you to find a co-presenter to help you out – the #FeedForward initiative is also a massive supporter of YOU and the audience are ALWAYS friendly and like-minded. You don’t have to be captain of a datacentre the size of the starship enterprise to have something interesting to say, my 1st VMUG presentation 5 years ago was on my 2-host lab environment, and ever since I’ve iterated that vTARDIS presentation and delivered sessions on it at VMworld and VMUGs and other conferences around the world (Melbourne, Copenhagen, Chicago) and it even won the VMworld best of show award – it’s been a hugely rewarding and enjoyable experience and I would encourage you all – no matter how timid or insignificant you think your experiences are to get in touch with your local VMUG and volunteer to do a presentation – VMUGs are about community and content – and we (the UK/LDN committee) work VERY hard to ensure the right balance between VMware, sponsor and COMMUNITY content. In recent London VMUG’s we’ve started doing a slot for lightning-talks where you deliver a short, sharp & to-the-point 5-15min presentation on a topic of your choosing, these are a great way to jump-start your presenting career locally, and maybe even globally as they’re much less daunting than a normal 45-60min slot and are an excellent way to dip your toe in the water, there are also panel & round-table discussions that are a good way to get involved. Being able to present, articulate a point and hold a confident discussion on a topic is a critical career skill if you want to stand out from the crowd, or keep your seat in a world of increasing off-shoring and out-sourcing. So, in short get in touch (details on about page), present something, go LARGE by submitting your talk for VMworld via the call for papers process – Let’s be realistic, VMworld sessions are traditionally hard to get accepted for unless you’re a sponsor or a well recognised name and there is a LOT of competition, on the other hand VMUGs sometimes struggle to find people willing to present, a lot of those recognised names started their vSpeaking career by getting involved at a local VMUG first – you do the maths, literally what have you got to lose? BTW Next London VMUG meeting (#LonVMUG on twitter) is 15th May 2014. Even More Community Content at UKVMUG!! (8-10 people) Darren Woollard Come and join an interactive design white-boarding session, bring your ideas, questions and requirements. (8-10 people) Simon Gallagher A chance to participate in a friendly format and dry-run your VCDX defence presentation in front of your peers, offer to defend for a chance to sit on the panel and become an unofficial mock VCDX panelist. (Drop-in hands-on format) Jon Medd, Alan Renouf, William Lam Ever wondered how to automate something? PowerCLI and all things PowerShell, come and try and hands-on, informal drop-in where you can get some help, ask questions and try it out for yourself. The timings for these sessions are currently as follows (we may need to make some adjustments on the day so check the board by the mezzanine area). Official registration is now closed for the event but we will be able to accommodate walk-in registrations if you are able to make it, hope to see you there, it’s going to be Epic! We (the steering committee) are pleased to announce that the agenda for the next London VMware User Group is now online and registration is open. We have a great agenda lined up with hands-on labs from Embotics (who you may remember from a previous event) and we hope you enjoy the multi-track layout. The format would be that participants get a 15-20min slot to present their design defence to a “panel” comprising of other VMUG members. including some of whom have taken (and failed) the actual defense process with a view to providing feedback and some questioning. We don’t have any VCDX secret-sauce to share or special VMware info that you can’t find on the web, but the goal is to allow you to dry-run your presentation in-front of a friendly audience of like-minded community members before you brave it for real. You would need to commit to come prepared with a Powerpoint version of your defence presentation, the panel won’t have seen your full design documents, and won’t be reviewing them. I have created a poll, so if you’re interesting in participating, and will be attending the UK VMUG in November (details here) then please let me know via the poll below so I can estimate interest and seek panel members from the community. Because we will need to arrange logistics I would ask that you only express an interest if you are planning to attend the UK VMUG and will have something to present, a significant number of no-shows will make it difficult to justify putting this on. Quick heads-up it’s not long now until the next London VMware User Group (VMUG) meeting on 14th July, I’m also pleased to announce that I have joined the steering committee and will be helping out with finding useful and content. We are always open to suggestions and VMUG is all about the User so don’t be shy, particularly if you have ideas for hands-on labs or topics you would like to see covered – leave a comment with an idea, or drop me a mail (details on my about page) – you don’t have to be running the largest infrastructure in the world or have a brain the size of a planet, bring your ideas, your woes, your experiences and share them with the community. If you’ve never been before – now is the time to make time. Meeting: 10:00 a.m. – 17:00 p.m. The London VMUG Steering Committee are delighted to invite you to our next event. Following on from the success of the new format unveiled at the May 12th VMUG, we will continue with multiple tracks and a vCOPS focused lab, along with a Genius Bar from VMware GSS to answer any burning issues you might have. Details are below and we are grateful to our sponsors – Arista Networks, Embotics and Vision Solutions. Please Note: If you wish to participate in the lab, you MUST bring your own laptop/client device please! You will need View 4.6 client installed (or admin rights to install it). Register Today to join us for this free informative event. Please note: You will need to log into the VMUG web site to register for this meeting. If you have not already obtained your VMUG login credentials, please visit the Username and/or Password Help page to request your username and password. The next London VMware User group is open for registration, with a rather cloudy-theme and for the 1st time ever – live labs and multiple tracks! The London VMUG Steering Committee are delighted to invite you to our next event and to unveil a new format to our previous VMUGs taking place on Thursday, May 12, 2011. In response to your feedback and suggestions, we will have multiple tracks, multiple sponsors and labs. Our theme for this VMUG is “Your Journey to the Cloud” and to deliver our comprehensive agenda, the day will now start at 10am! Details are below and we are grateful to our sponsors – COLT, EMC and Quest. Registration is open and included as part of member benefits for all VMUG members. Please note, in order to register for this meeting we ask that you sign up for a complimentary VMUG membership. Click login below to sign up today. These will be running simultaneously from 10:20 a.m. and you will need to register upon arrival to book your lab session. 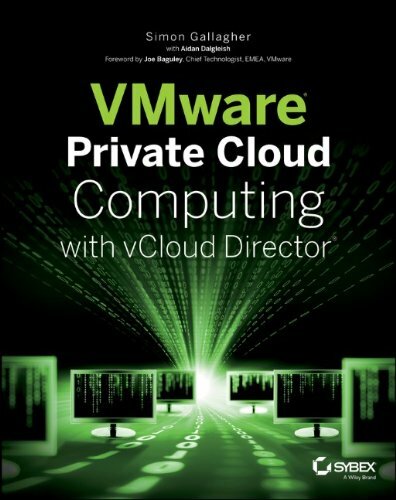 The VMUG are providing VMware vCloud Director Labs for all UG members to get a look and feel for the product. COLT has very kindly agreed to host the labs ontheir infrastructure in the Cloud. COLT are a certified VMware vCloudDatacenter Services Provider and the first in EMEA to provide this service. The COLT team along with VMware vCloud Architects have provided two types of labs to provide the best experience possible. It’s that time again, if you are in the UK – or anywhere nearby then register and get yourself over to the London VMUG. I’m not sure if I can make this one, due to work commitments and this will be the 1st VMUG for about a year and a half where I won’t be presenting anything – so it’s safe to come out from behind the sofa! The Steering Committee are pleased to announce the next UK London VMware User Group meeting, kindly sponsored by Veeam is to be held on Thursday 10th February 2011. We hope to see you at the meeting, and afterwards for a drink or two, courtesy of VMware. If you would like to participate in Alan’s workshop, please bring a laptop, preferably with the most current PowerCLI and PowerShell binaries installed. To register your interest in attending, please email londonvmug@yahoo.com with up to two named attendees from your organisation. If you do not receive a confirmation mail, please don’t just turn up since we will not be able to admit you to the meeting. Please separately mention if you intend attending Alan’s PowerCLI workshop at 11.00 or would like to be considered to attend the Enterprise Management roundtable strategy session at 10.00. Content from the meeting will be uploaded to http://www.box.net/londonug, NDA permitting.